This year, Chinese New Year is Tuesday 5thFebruary. The national holiday is dictated by the lunar cycle and thus falls on a different date every year. In China it is referred to as Chunjie or The Spring Festival as it marks the end of the coldest days. 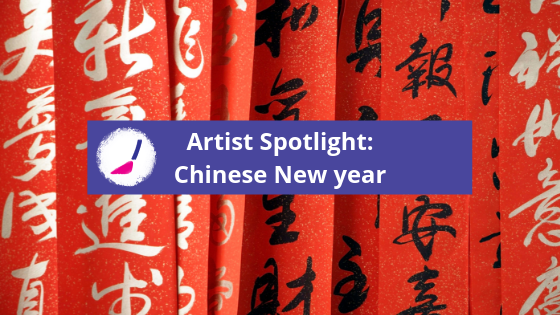 To celebrate Chinese New Year we are dedicating this month’s Artist Spotlight to this festival. Many of these artists have had their work inspired by the celebration and culture. We first talk about David Lloyd, a Liverpool born artist who currently lives in Taiwan R.O.C and is fascinated by Asian culture. Lloyd likes to create is artwork on site to feel closer to his chosen subject or scene. The drawings and paintings are built up in layers resulting in an energetic and expressive finish. David often draws temples which are very busy during Chinese New Year. 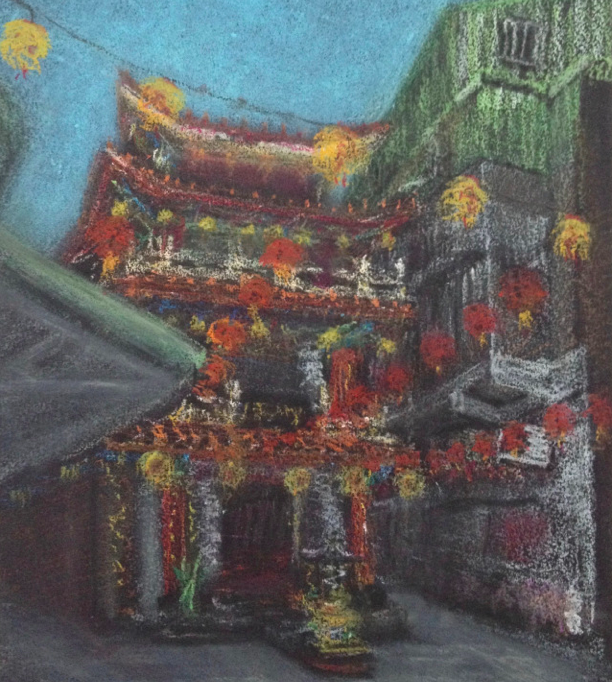 Hidden Temple, San Chong, Taiwan is created with oil pastels and is filled with electric mark making, Lloyd returned to the site many times to finish this piece which adds to the depth of the painting. 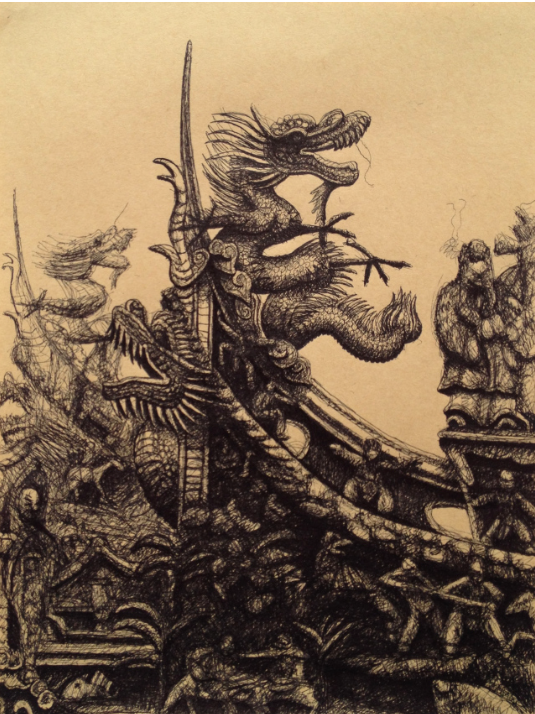 Below is one of David Lloyd’s ink on brown paper drawings of a temple in San Chong City. This study really captures the structure and intracity of the temple apposed to David’s more fluid oil pastel paintings. 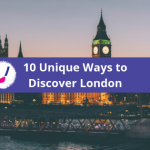 You can find more example of David Lloyds work here. We then move to Mongolion contemporary artist Altansukh Demberel. 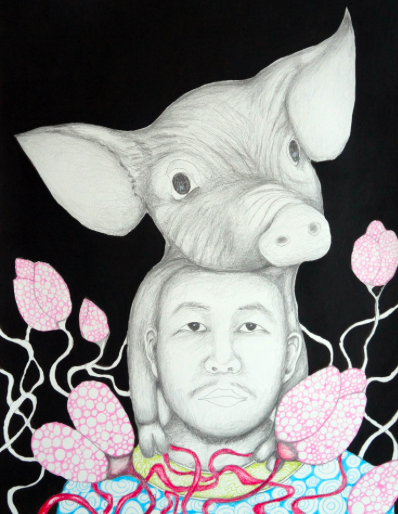 In his homeland he celebrates the Lunar New Year and this year will be the year of the pig, so Altansukh has created a self portrait with himself and the animal titled ‘Friend’. Demberel’s work is created with a range of mediums; stencil, screenprinting, woodcut and linoleum. You can find more example of Altansukh Demberel’s work HERE.